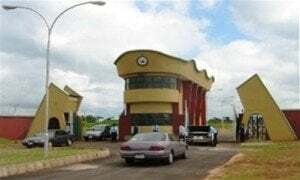 Latest Update: Federal Poly Ilaro 2nd Admission List 2018/19 and Federal Polytechnic Ilaro (ILAROPOLY) ND Full-Time 3rd Batch Admission List 2018/2019. Federal Polytechnic Ilaro Full-Time ND admission list for the 2018/2019 academic session is out. Candidates that participated in the Ilaro Poly post UTME screening exercise can now check their admission status. Authority of the Federal Polytechnic Ilaro, ILAROPOLY, has released the first batch admission list that contains the names of candidates offered provisional admission into the polytechnic various National Diploma (ND) programmes for the 2018/2019 academic session. Federal Polytechnic Ilaro 1st ND admission list has been successfully uploaded online. Successfully admitted candidates are to check: Federal Polytechnic Ilaro Admission Acceptance Fee. Congratulations to the newly admitted candidates. Please oooo,I can’t see my name for business administration and I scored 184,when is d other list be out. Please is the second list out? is 2nd batch list out?